January Burger of the Month – Garlic Fest! We’re starting off the new year with a fest, but not just any fest… A GARLICKY ONE! 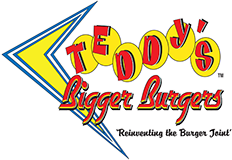 In honor of new, big beginnings, Teddy’s Bigger Burgers is featuring not just ONE, but FOUR garlicky, juicy options. January’s Burger(s) of the Month are all packed full of garlic, but each of them come with their own unique twist. Want a little spice? The Kapiolani Burger shines with its mix of pepper jack cheese and buttery avocado. Need something salty? From the windward side, we have the Kaneohe Burger. This option is served with mouthwatering, sizzling bacon, creamy avocado and melt-in-your-mouth cheddar cheese. Our Wahiawa Burger is similar to the Kapiolani Burger, but it’s topped with something extra. One bite of the Wahiawa Burger, and you’ll experience a fresh, juicy sensation in your mouth: pineapples! The fruit is yummy on its own, but better in our Wahiawa Burger. And finally, from the west side comes our Ewa Burger. Not only will this garlic burger satisfy any hunger pangs, but we’ve added some pastrami slices and two slices of Swiss cheese. Now that is a memorable way to start off the new year. But wait, that’s not enough garlic for one sitting? The perfect companion to your garlic burger would be our bestselling garlic butter fries. Messy, burger-juice-covered hands are welcome, since these fries will only add to the finger-licking party. OMG, okay, this is the end, we promise. OreOMG! is our Shake of the Month. January’s Shake of the Month is a classic combo of mint chocolate chip ice cream blended with everyone’s beloved Oreo cookie crumbles. We’d say that the OreOMG! would be a fantastic way to motivate us through our attempt at New Year’s resolutions.